From your clothes to your desk, every bit of matter is made of tiny particles called atoms. Atoms have negatively charged electrons that spin around them. Most of the time, the electrons spin in random directions. When the electrons all spin in the same direction, though, they create an invisible force known as magnetism. 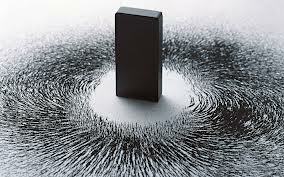 All About Magnetism: The two ends of a magnet are called the north and south poles. When something is magnetic, it can pull things with steel or iron in them to it. 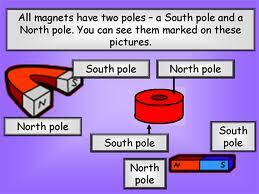 The two ends of a magnet are called the north and south poles. These are the parts where the magnets are strongest. Around these poles is an area known as a magnetic field. In the magnetic field, other objects can be drawn to the magnet. 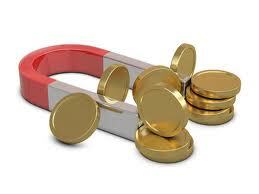 Magnet Attracts metals like iron or steel. The Earth is a very big magnet. Its North and South poles are highly magnetic. The Earth’s magnetic force is not very strong. The magnets on your refrigerator have more magnetic force. A collapsed star, known as a neutron star, has the strongest magnetic force of any object in the universe. 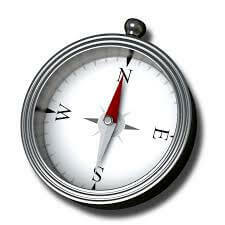 A compass has a tiny magnet in it. The arrow always points to the North Pole. Around magnet poles is an area known as a magnetic field. In the magnetic field, other objects can be drawn to the magnet. Watch this amazing video all about magnetism that will blow your mind! A video explanation about the science behind magnetism. Question: Do magnets always attract objects? Answer: Not all objects are attracted to magnets. Wood, plastic, glass, fabric, silver, gold and other metals are not affected. Question: What happens if I put two magnets together? Answer: A north pole will attract a south pole. If you put a north pole next to a north pole, they will push against each other or repel each other. Enjoyed the Easy Science for Kids Website all about Magnetism info? Take the FREE & fun Magnetism quiz and download FREE Magnetism worksheet for kids. For lengthy info click here. Declan, Tobin. " Facts About Magnetism for Kids ." Easy Science for Kids, Apr 2019. Web. 18 Apr 2019. < https://easyscienceforkids.com/all-about-magnetism/ >.